Paper bag, inverted. Strips on the bag contain natural vegetable fibres. 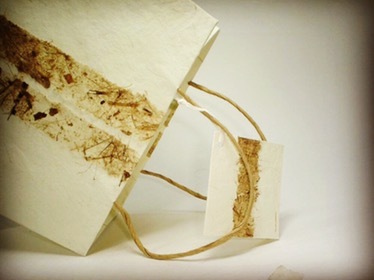 This entry was posted in Whats New and tagged anandprakash, fibre, Handmadepaper, paperbag, Recycled. Bookmark the permalink.